Brevard County residents are invited to test this theory as part of a Make & Tell Sept 14, 6PM to 8PM at Space Coast FabLab. Three generations of makers, hardware, and embedded software designers will share their inventions as part of a kickoff for a new monthly series of meetups. 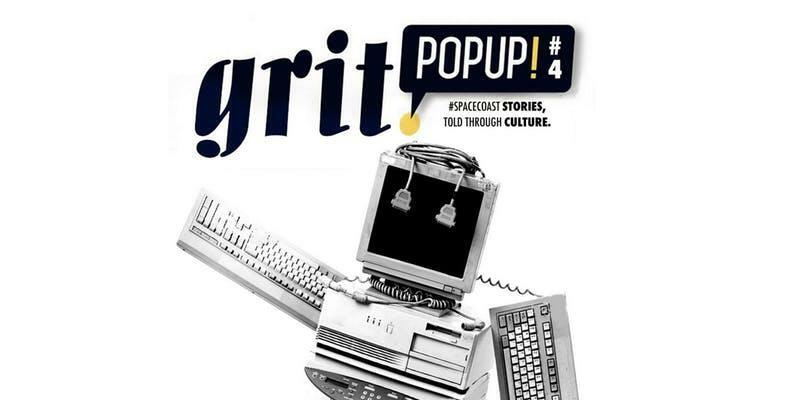 GRIT Popup is powered by a tribe of creators in Space Coast, Florida. Our projects start with an in-depth interview and podcast and result in a full-sensory, popup dinner and show. Whether you are celebrating a local hero — a historic landmark or new product — we’re here to amplify your story. Each event is inspired by a local community member’s story of grit and success. Their stories are curated through various mediums of artistic expression. GRIT is a grassroots group of acclaimed artists, chefs, and storytellers who work together to build full-sensory, flash experiences honoring people, communities, and speciality causes. In this episode we celebrate the mysterious life of Mrs. Emily Pickens, an actress and engineer, who says she much prefers to live real life rather than chat on and on about the nature of // CLASSIFIED // work.